Finally, an episode of Rizzoli & Isles that's more serious than silly! Rizzoli & Isles Season 7 Episode 5 featured an interesting case involving a fall down the stairs that wasn't so accidental. Even better, there were a couple of nice moments between Maura and Jane. And Maura's bio mom was back. The case of the hour has been fairly ridiculous lately, but this one was an exception. The episode began with a dark, creepy scene of a woman screaming and someone sneaking through the house, ultimately ending with a gruesome discovery: a body at the bottom of the stairs. The juxtaposition of this with the gentle family scene over at Maura's was perfect. Soon after the victim's death, Maura was struggling with her mother's coming to see her while she had minor surgery and Angela was coming through the door with bagels. The normality of it all really underscored the horror of the crime scene. It's a long way from being mad at your mother to killing her. I should know. Permalink: It's a long way from being mad at your mother to killing her. I should know. The gruesome accident, of course, turned out to be no accident at all. That was a given considering this is a crime drama; an accident would not have been an interesting use of an hour. I didn't expect it to have quite so many twists and turns. Jane's passionate belief that the victim's daughter Claire was innocent made it seem that she was, but the writers could have easily gone the other way and made the twist be that she was guilty. On the other hand, Robert seemed like one of the stupidest criminals ever when he attempted to outrun the cops with a murder weapon in his back seat. And, of course, his first lover dying under similar circumstances pretty much sealed the deal. Maura's mom: Why is this so difficult? Maura: Because we don't really know each other. And you have a daughter and I have a mother. Maura's mom: Square peg, round hole. Permalink: Square peg, round hole. The juxtaposition of Claire, who didn't know her mother's death was at her father's hands and probably blamed herself because they argued the night of her murder, with Maura's struggle to accept her mother's role in her life, was powerful. Maura's scenes with Hope were emotional, especially when Hope admitted that she regretted giving Maura up for adoption and thought of her often while raising her other daughter. This was a nice way to tie up some loose ends between Maura and her bio-mom, though her decision to go check out volunteering at the clinic came out of nowhere. It annoys me how easily television characters can drop social plans when something better comes along with no consequences whatsoever. 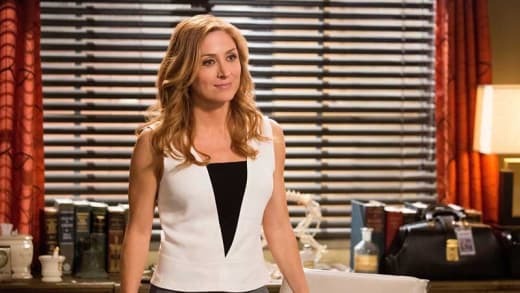 In addition, if Maura's memory loss were to affect her ability to work as an ME, how on Earth would it be better for her to work with living patients? Doctors who work with patients need cognitive skills too. Vince: In the world of coincidences, that one's a doozy. Jane: which means it's probably not a coincidence at all. 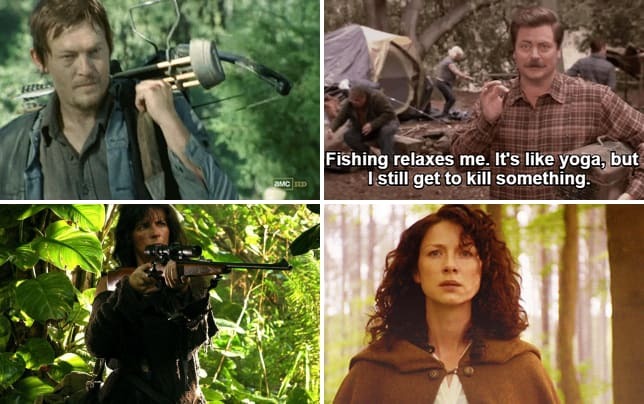 Permalink: which means it's probably not a coincidence at all. Maura's short scene with Jane right before going into surgery was sweet. The interactions between the two women have been lacking lately, but this moment was a step in the right direction, as was Jane trying to pretend not to be worried when Maura was on the phone with Hope. Claire: You're not supposed to talk to me. Jane: Well, technically, you came over here to talk to me. Permalink: Well, technically, you came over here to talk to me. The only place where the writers really dropped the ball on this one was the ending. There were a few too many coincidences in this case. The random homeless guy who almost got run over during the chase had the key evidence – really? In addition, Jane engaging in borderline illegal activity to get the info she needed didn't sit well with me. Jane: What's going on between Frankie and Nina? I'm glad that Frankie and Nina's dating is out in the open so that viewers don't have to sit through any more awkward scenes of Angela or Frankie trying to keep the truth from Jane. The scenes in the Dirty Robber at the end were cute, if slightly silly. Maybe Maura will be glad she missed the lie detector aspect of the party. What did you think of "Shadow of Doubt"? Weigh in below and remember that you can watch Rizzoli & Isles online if you missed anything. Angela (holding bagel in front of Jane's nose): Still warm. Angela: Put it in your pocket. Permalink: Put it in your pocket.